其实, 接触了这么久的 AOP, 我感觉, AOP 给人难以理解的一个关键点是它的概念比较多, 而且坑爹的是, 这些概念经过了中文翻译后, 变得面目全非, 相同的一个术语, 在不同的翻译下, 含义总有着各种莫名其妙的差别. 鉴于此, 我在本章的开头, 着重为为大家介绍一个 Spring AOP 的各项术语的基本含义. 为了术语传达的准确性, 我在接下来的叙述中, 能使用英文术语的地方, 尽量使用英文. AOP(Aspect-Oriented Programming), 即 面向切面编程, 它与 OOP( Object-Oriented Programming, 面向对象编程) 相辅相成, 提供了与 OOP 不同的抽象软件结构的视角. aspect 由 pointcount 和 advice 组成, 它既包含了横切逻辑的定义, 也包括了连接点的定义. Spring AOP就是负责实施切面的框架, 它将切面所定义的横切逻辑织入到切面所指定的连接点中. 由 aspect 添加到特定的 join point(即满足 point cut 规则的 join point) 的一段代码. 许多 AOP框架, 包括 Spring AOP, 会将 advice 模拟为一个拦截器(interceptor), 并且在 join point 上维护多个 advice, 进行层层拦截. 例如 HTTP 鉴权的实现, 我们可以为每个使用 RequestMapping 标注的方法织入 advice, 当 HTTP 请求到来时, 首先进入到 advice 代码中, 在这里我们可以分析这个 HTTP 请求是否有相应的权限, 如果有, 则执行 Controller, 如果没有, 则抛出异常. 这里的 advice 就扮演着鉴权拦截器的角色了. a point during the execution of a program, such as the execution of a method or the handling of an exception. In Spring AOP, a join point always represents a method execution. 在 Spring AOP 中, join point 总是方法的执行点, 即只有方法连接点. 匹配 join point 的谓词(a predicate that matches join points). Advice 是和特定的 point cut 关联的, 并且在 point cut 相匹配的 join point 中执行. 在 Spring 中, 所有的方法都可以认为是 joinpoint, 但是我们并不希望在所有的方法上都添加 Advice, 而 pointcut 的作用就是提供一组规则(使用 AspectJ pointcut expression language 来描述) 来匹配joinpoint, 给满足规则的 joinpoint 添加 Advice. 在 Spring AOP 中, 所有的方法执行都是 join point. 而 point cut 是一个描述信息, 它修饰的是 join point, 通过 point cut, 我们就可以确定哪些 join point 可以被织入 Advice. 因此 join point 和 point cut 本质上就是两个不同纬度上的东西. 为一个类型添加额外的方法或字段. Spring AOP 允许我们为 目标对象 引入新的接口(和对应的实现). 例如我们可以使用 introduction 来为一个 bean 实现 IsModified 接口, 并以此来简化 caching 的实现. 织入 advice 的目标对象. 目标对象也被称为 advised object. 注意, adviced object 指的不是原来的类, 而是织入 advice 后所产生的代理类. 一个类被 AOP 织入 advice, 就会产生一个结果类, 它是融合了原类和增强逻辑的代理类. 在 Spring AOP 中, 一个 AOP 代理是一个 JDK 动态代理对象或 CGLIB 代理对象. 将 aspect 和其他对象连接起来, 并创建 adviced object 的过程. after(final) advice, 无论一个 join point 是正常退出还是发生了异常, 都会被执行的 advice. 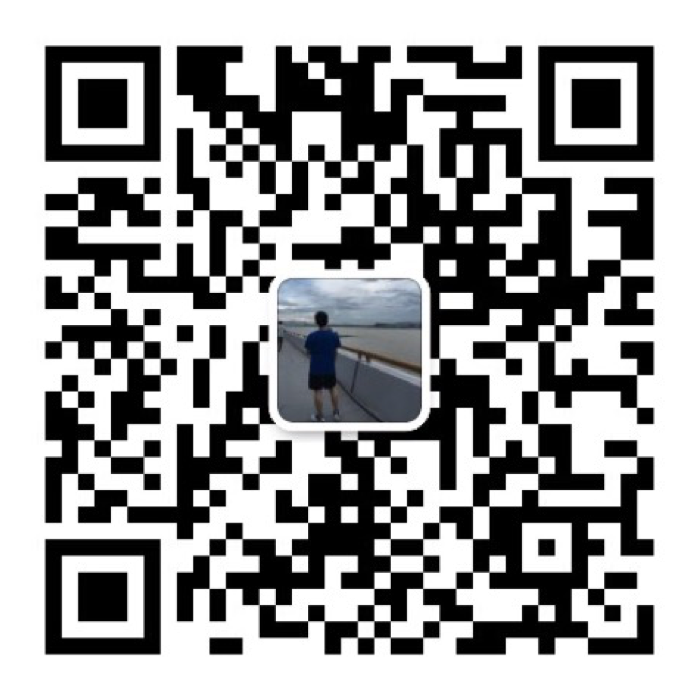 around advice, 在 join point 前和 joint point 退出后都执行的 advice. 这个是最常用的 advice. Spring AOP 默认使用标准的 JDK 动态代理(dynamic proxy)技术来实现 AOP 代理, 通过它, 我们可以为任意的接口实现代理. 如果需要为一个类实现代理, 那么可以使用 CGLIB 代理. 当一个业务逻辑对象没有实现接口时, 那么Spring AOP 就默认使用 CGLIB 来作为 AOP 代理了. 即如果我们需要为一个方法织入 advice, 但是这个方法不是一个接口所提供的方法, 则此时 Spring AOP 会使用 CGLIB 来实现动态代理. 鉴于此, Spring AOP 建议基于接口编程, 对接口进行 AOP 而不是类. 看完了上面的理论部分知识, 我相信还是会有不少朋友感觉到 AOP 的概念还是很模糊, 对 AOP 中的各种概念理解的还不是很透彻. 其实这很正常, 因为 AOP 中的概念是在是太多了, 我当时也是花了老大劲才梳理清楚的. 下面我以一个简单的例子来比喻一下 AOP 中 aspect, jointpoint, pointcut 与 advice 之间的关系. 让我们来假设一下, 从前有一个叫爪哇的小县城, 在一个月黑风高的晚上, 这个县城中发生了命案. 作案的凶手十分狡猾, 现场没有留下什么有价值的线索. 不过万幸的是, 刚从隔壁回来的老王恰好在这时候无意中发现了凶手行凶的过程, 但是由于天色已晚, 加上凶手蒙着面, 老王并没有看清凶手的面目, 只知道凶手是个男性, 身高约七尺五寸. 爪哇县的县令根据老王的描述, 对守门的士兵下命令说: 凡是发现有身高七尺五寸的男性, 都要抓过来审问. 士兵当然不敢违背县令的命令, 只好把进出城的所有符合条件的人都抓了起来. 首先我们知道, 在 Spring AOP 中 join point 指代的是所有方法的执行点, 而 point cut 是一个描述信息, 它修饰的是 join point, 通过 point cut, 我们就可以确定哪些 join point 可以被织入 Advice. 对应到我们在上面举的例子, 我们可以做一个简单的类比, join point 就相当于 爪哇的小县城里的百姓, point cut 就相当于 老王所做的指控, 即凶手是个男性, 身高约七尺五寸, 而 advice 则是施加在符合老王所描述的嫌疑人的动作: 抓过来审问. join point –> 爪哇的小县城里的百姓: 因为根据定义, join point 是所有可能被织入 advice 的候选的点, 在 Spring AOP中, 则可以认为所有方法执行点都是 join point. 而在我们上面的例子中, 命案发生在小县城中, 按理说在此县城中的所有人都有可能是嫌疑人. point cut –> 男性, 身高约七尺五寸: 我们知道, 所有的方法(joint point) 都可以织入 advice, 但是我们并不希望在所有方法上都织入 advice, 而 pointcut 的作用就是提供一组规则来匹配joinpoint, 给满足规则的 joinpoint 添加 advice. 同理, 对于县令来说, 他再昏庸, 也知道不能把县城中的所有百姓都抓起来审问, 而是根据凶手是个男性, 身高约七尺五寸, 把符合条件的人抓起来. 在这里 凶手是个男性, 身高约七尺五寸 就是一个修饰谓语, 它限定了凶手的范围, 满足此修饰规则的百姓都是嫌疑人, 都需要抓起来审问. advice –> 抓过来审问, advice 是一个动作, 即一段 Java 代码, 这段 Java 代码是作用于 point cut 所限定的那些 join point 上的. 同理, 对比到我们的例子中, 抓过来审问 这个动作就是对作用于那些满足 男性, 身高约七尺五寸 的爪哇的小县城里的百姓. aspect: aspect 是 point cut 与 advice 的组合, 因此在这里我们就可以类比: “根据老王的线索, 凡是发现有身高七尺五寸的男性, 都要抓过来审问” 这一整个动作可以被认为是一个 aspect. 或则我们也可以从语法的角度来简单类比一下. 我们在学英语时, 经常会接触什么 定语, 被动句 之类的概念, 那么可以做一个不严谨的类比, 即 joinpoint 可以认为是一个 宾语, 而 pointcut 则可以类比为修饰 joinpoint 的定语, 那么整个 aspect 就可以描述为: 满足 pointcut 规则的 joinpoint 会被添加相应的 advice 操作. @AspectJ 是一种使用 Java 注解来实现 AOP 的编码风格. @AspectJ 风格的 AOP 是 AspectJ Project 在 AspectJ 5 中引入的, 并且 Spring 也支持@AspectJ 的 AOP 风格. @AspectJ 可以以 XML 的方式或以注解的方式来使能, 并且不论以哪种方式使能@ASpectJ, 我们都必须保证 aspectjweaver.jar 在 classpath 中. 注意, 仅仅使用@Aspect 注解, 并不能将一个 Java 对象转换为 Bean, 因此我们还需要使用类似 @Component 之类的注解. 注意, 如果一个 类被@Aspect 标注, 则这个类就不能是其他 aspect 的 **advised object** 了, 因为使用 @Aspect 后, 这个类就会被排除在 auto-proxying 机制之外. 一个 pointcut 表达式, 用来指定哪些方法执行是我们感兴趣的(即因此可以织入 advice). 这个方法本身就是 pointcut signature, pointcut 表达式使用@Pointcut 注解指定. 上面我们简单地定义了一个 pointcut, 这个 pointcut 所描述的是: 匹配所有在包 com.xys.service.UserService 下的所有方法的执行. 匹配 join point 的执行, 例如 “execution(* hello(..))” 表示匹配所有目标类中的 hello() 方法. 这个是最基本的 pointcut 标志符. 匹配特定包下的所有 join point, 例如 within(com.xys. *) 表示 com.xys 包中的所有连接点, 即包中的所有类的所有方法. 而 within(com.xys.service. *Service) 表示在 com.xys.service 包中所有以 Service 结尾的类的所有的连接点. this 的作用是匹配一个 bean, 这个 bean(Spring AOP proxy) 是一个给定类型的实例(instance of). 而 target 匹配的是一个目标对象(target object, 即需要织入 advice 的原始的类), 此对象是一个给定类型的实例(instance of). 当 NormalService.test 执行时, 则 advice doSomething 就会执行, test 方法的参数 name 就会传递到 doSomething 中.
advice 是和一个 pointcut 表达式关联在一起的, 并且会在匹配的 join point 的方法执行的前/后/周围 运行. pointcut 表达式可以是简单的一个 pointcut 名字的引用, 或者是完整的 pointcut 表达式. 下面我们以几个简单的 advice 为例子, 来看一下一个 advice 是如何声明的. // 定义一个 Pointcut, 使用 切点表达式函数 来描述对哪些 Join point 使用 advise. 这里, @Before 引用了一个 pointcut, 即 “com.xys.aspect.PointcutDefine.dataAccessOperation()” 是一个 pointcut 的名字. around advice 比较特别, 它可以在一个方法的之前之前和之后添加不同的操作, 并且甚至可以决定何时, 如何, 是否调用匹配到的方法. around advice 和前面的 before advice 差不多, 只是我们把注解 @Before 改为了 @Around 了.